The 180watt is not often seen. The popular ones are the 200watt and 350watt models. If you are seeking the ultimate “I’m a chef look at me” kitchen companion, we think look no further than the ultra sleek BAMIX Gastro 350 on Amazon. 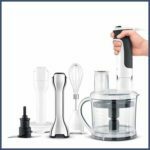 In our opinion…it is the best hand blender on the market simply because it has the ultimate in power, speed, and stick length. 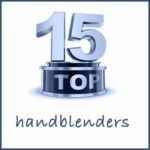 For lots of detailed information on hand blenders per se, click here to go to our hand blender page. 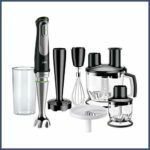 If you are looking for the best hand blender SET in a similar price range then we recommend the Bamix SwissLine / Superbox sets. This commercial grade immersion blender is the top end of the Bamix gastro range. The gastro range is not just for commercial kitchens and restaurants though. Anyone who likes to cook a lot, cook faster, cook better or cook for larger groups… would be over the moon to have this stick blender. However, the most popular one in the range of three ( 180w, 200w, 350w) is the “Bamix gastro 200” . Why? Probably because of cost, and also the gastro 200 has a longer length than most of the Bamix ranges, the 350 just goes ridiculously long, and for chefs its extra power means saving seconds off prep. time. Unless you’re a chef, we’d say the gastro 200 is probably more than enough. We rarely see the 180 watt gastro model, in fact people looking at 180W standard shaft length tend to go with the Bamix deluxe model (available on Amazon). Keeping up with variations of models is not easy, but there is always the best of the best, and the purist stands out on its own, like an artist. The strength, speed, and 3 blades that come with the Bamix gastro 350 (Amazon) make it simple sophistication, and hence our best blender. Don’t get me wrong, a good act can always use a good backing group and some cool attachments to take it to the nth degree. So this is what this gastro 350 also does so well. 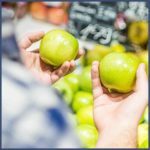 It takes so long to decipher products online or in stores… with all the combinations, variations, price differences, distribution channels, country specs etc. This alone could be one reason why my choice is to go for simply the best, pure, professional model that does most things brilliantly.. and with a few extras can perform pretty much the full repertoire of cooking to chef-ing, without any fuss. 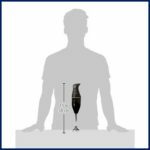 You will find many Bamix models on the internet but check out our post on bamix ranges explained to get the full picture. It looks like they started offering their model ranges based on the power and accessory combos, but now they are bringing out new ranges to allow more focused marketing packages ( the bbq, babyline, toGo, baker range etc). Mix n matching the technical stick and the extras is the trick to getting the right Bamix for you. Essentially, the sticks cover these different powers. The gastro 350 (on Amazon)is Gordon Ramsey’s favourite! 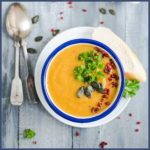 It is marketed more to the commercial chef so its not always easily available to buy and can be really is for the purist, the big quantity cook, the chef ( at work and at home), or if you really just want to know and show you have the best. For the rest of us, the swissline, colorline or superbox (see more info on Amazon) is the most fabulous (expensive) gift for yourself or someone else. 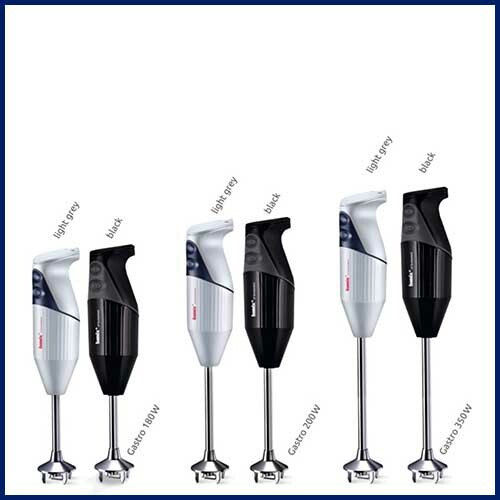 So you see, the gastro is just one range, with just three blenders in it… and the 350 gastro (on Amazon) is the most powerful of this range and of the whole Bamix lot, with the longest shaft stick to boot too. You can find the technical details down below. By the way, we’ve now based all our information on buying in the UK. You can get variations if buying in the EU or the USA. 1. the motor … the model name gives it away! The gastro 200 has a 200 W heavy-duty AC motor, the 350 has a 350W. This leads to the difference in the 2 speed settings (depending on the wattage). For the Gastro 200 model, Setting 1 is 12,000 rpm and Setting 2 is 17,000 rpm ( revolutions per minute). For the 350 model it’s 18000rpm and 22000rpm respectively. 2. the length of the smart stick, or shaft as they call it. On the 200 it is 7 ⅜” (inches), which is already longer than all the other models by a few inches.On all the other models its just 5 ⅜”. On the 350 model it’s a whopping 11 ⅖” shaft length. Gordon Ramsey professes to love the extra tool length more than anything! Basically Bamix makes 2 motor ranges.. the lower one is the 160 / 180W used in the mono, classic / deluxe range. But you know that with Bamix its not just about engine size, its more about the quality of how its delivered… so smoothly, and soooo quietly! The Swissline / Superbox and Gastro models (all on Amazon) have the more powerful motor than the others. What this means is that these models are stronger, but on top of that, the Gastro is the range that has the longer shafts. This is why we rate the Bamix gastro as the best of the best hand blender. The gastro 200 has the shaft a few inches longer than the others, and the 350 is muchissimo longer than that! So it’s the best one for deep pans and for commercial use. Wattage doesn’t matter toooo much, it’s the RPMs. and how the machine blends that matters more. It seems one is always compromising on one element depending on the model. The gastro 350 blows all of them out of the park with the highest wattage, rpms and shaft length, so that’s our winner. Most of the other differences in the models are with colour, or the attachments that the products come with. Some come with the wall mount (mono), some come with a stand (deluxe, swissline). Some have celebrity endorsed modelling and colours. 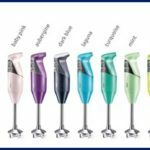 If colour is important to you, then check out what’s available today in the Bamix colorline range here on Amazon, and our blog on favourite hand blender colours. Other than that, you might find that the availability, and the specifications for power and the rpm speeds can vary from the UK to EU to USA, in order to meet national standards and distribution agreements. See Bamix Gastro 350 Customer Reviews on Amazon in your country. Bamix has an alternating current and balanced motor which makes it particularly quiet. 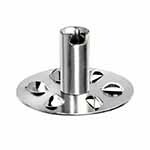 The Bamix gastro range is usually supplied with 3 blades – a multipurpose blade, beater blade, and whisk blade, a wall bracket, and a 11 ⅖” shaft length. So you are ready to start beating, mixing and fluffing straight away. We discuss three blades below that usually come with the machine. The fourth one you can buy is the meat blade also known as the S blade. You can see below which blade to use for which blender techniques. Also, rather than bore you here with too much detail, we have pulled all our information into a blog post about Bamix attachments so that you can quickly buy your way to the ‘be all and end all’ of kitchen convenience! With four blades available Bamix allows you to prepare a variety of things: from beating eggs and mincing meat to making mayonnaise, sauces, cake mixes, purees, juices, ice cream, smoothies, milk shakes, crushed ice, soup, or even fabulous at making foams, cocktails and pet food! 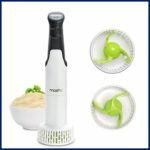 I’ve even read a customer review that says that compared to many other models, the tiny size of the blade ends mean that you can blend your mayonnaise or salad dressing directly into a mason jar! You can also use your Bamix to smooth out lumpy sauce in a jiffy, so no-one will ever know you didn’t make a perfect sauce first time round! If you just want to pay less but start with a best brand like this, do check out Amazon for the Bamix classic model especially the Classic One Blade if its available as (with just the multipurpose blade). Its a great starter machine and you can buy any other blades separately there too. Worth checking this link out. 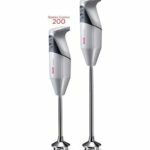 Do remember to look at our other two award winners – the Kenwood HDP406 (here on Amazon) was our best home cook hand blender, and the Russell Hobbs 22241 (here on Amazon) was our best budget blender. If you are seeking the ultimate kitchen companion, we think look no further than the ultra sleek BAMIX Gastro 350. In our opinion…it is the best hand blender on the market. This commercial grade immersion blender is not just for commercial kitchens and restaurants though. Anyone who likes to cook a lot, cook faster, cook better or cook for larger groups… would be over the moon to have this stick blender. It’s open safety guard allows for optimal movement of the food being processed, and no repetitive movements are needed, no matter what you are preparing. This extra long shaft reaches far and can blend ingredients down to 35cm. So makes it an ideal tool, with an extra time-saving bonus, when cooking for families in large pans like pressure cookers. This hand blender is very energy efficient. It has a power of 350 Watts, without compromising its unequalled speeds. It has two-speed settings. 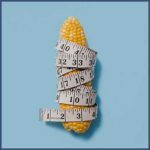 The slower setting is perfect for small batches and softer materials whereas the higher setting is great for tougher ingredients and larger batches. Use the low speed for small amounts of liquid ( e.g. if it does not entirely cover the safety guard ), and also for all food that you want to be light and fluffy. Use the high speed for power on hard food and big volumes. The Bamix 350 also has a great reputation for how fast it creates great results. It quickly turns skimmed milk into cream, or caster sugar into icing sugar in seconds ( you will need the pulverizing attachment for this). One happy shopper reported “It takes just thirty seconds to blend the thickest vegetables etc into a creamy puree. Hihi..its so fast that everyone will think you’ve been slaving away for hours! The Bamix hand blender is so simple to turn on and off, as well as change between settings. 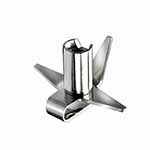 It comes with several interchangeable blades which are simple to clip into place. We have to say though, that after trawling every single review on the internet, we noticed a few people do say that the blades are difficult to change. It also goes without saying, on this and any other blender, to be ultra careful when changing attachments at the end of the wand… just make sure the appliance is NOT live. Don’t touch the switches towards the top of the wand when changing the tips if you do change the attachments whilst it is live. Better to turn the power off at the power socket or unplug the blender first! If you are planning a spot to hang your hand blender in your kitchen, just be careful where you place the bracket. The 350 model is quite a bit longer than the standard one, so needs more height! It washes easily. Just stick the blades into some warm water and it virtually cleans itself when you turn it on for a few seconds. The shaft doesn’t come off but its totally sealed and is also super easy to clean and dry. Do check the product manual to know which parts that only need to be rinsed in soapy water, and which are dishwasher proof. The only possible snag we came across on one of the attachments is that the top of the SliceSy attachment cannot be immersed in water… so we still have some investigating to do here! All parts that come into contact with food are made of top-quality materials. It has an official tested safety certificate for various countries. With a special coating made of PA6 safety rated nylon, this makes the Bamix corrosion resistant, odour resistant, grease repellant and fully sealed. So, it not only means it is built to last but also that it won’t leave residues, or unwanted tastes or smells in your food. This hand blender also has a lovely ergonomic design that includes a rubber membrane to cover the buttons and stop liquid getting inside. The curled cord keeps your workspace safer – and it’s a whopping 2.5m long! One wonderful customer commented… “You can break it by dropping it on the floor, but I have never heard of one wearing out.” We wouldn’t recommend testing that out! A little t.l.c. from you will keep it going a long way! Do read the product manual about how to take care of your new best kitchen friend! The two top tips we found for maintaining your Bamix hand blender were: a gentle squeeze with the pliers when the attachments get lose, and a few drops of vegetable oil up the shaft every now and then to keep the motor running at its best. 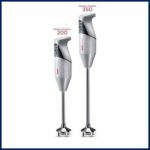 The main blender sticks come with a 1 Year Commercial Warranty or 10 years domestic warranty. The accessories tend to have a 1 year warranty. In the first year it seems that you just need to return anything not working to the retailer. 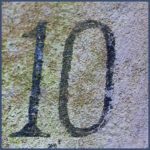 Between yr 1 and 10, they will fix free of charge, and after 10 years you can access a paid for repair service. You do need to know this because it looks like this is a lifetime tool! Some Bamix units have been in use for more than 30 or even 40 years and they can still be repaired! Ok, it is expensive compared to other blenders but if you want a professional tool this is the one for you. It´s made to last, so worth investing. Many people have realised that they were just throwing good money after bad, buying replacement machines or parts for other more popularly known household brands that seem to just last beyond the warranty date! SO we advise going straight for the versatile professional Bamix. What’s included in the box when you buy a bamix gastro ? So you can easily make shortcrust pastry, brioche, and bread! You can also make amazing ice cream and flavoured butters with its hard crushing action on ice or nuts. We use this blade on most things, most of the time! Basically, it tilts a little which allows it to get air into the mixture, hence the name aerator. Think of using it for anything that needs beating with a light touch. So you can now see why it is also called a foamer, or a creamer. It’s fantastic for whipping egg whites or fresh cream and you will find it famous for turning skimmed milk into the consistency of cream (just add strawberries for a delicious drink!). Gordon Ramsey demonstrates this in his YouTube video link below. So what else can you make? How about meringues, sauces, soups, thick milk shakes and smoothies, whipped desserts, light sponge cakes, sabayons, milk foams, bernaise sauce, tiramisu, Chantilly cream, and hollandaise sauce. We could go on! It’s a stirrer, a mixer, whipper or emulsifier. Think of it as ideal for mixtures that need a thick consistency like light batters. Fabulous for making pancakes, crepes, waffles and omelettes. It makes all sorts of drinks and cocktails, sauces & creams like mayonnaise, dressings, and marinades. 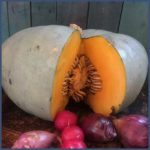 We use it to also mix ground spices into orange juice in the morning – whips it up and mixes it well which we use to only be able to achieve by adding some coconut oil… no need any more ! It even mashes your potatoes, makes cakes, and wow and behold, how about facemasks! 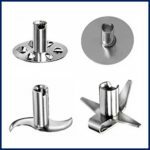 Depending on the model you buy, it can come with either nothing, or a wall bracket, or a countertop stand ( there are a few styles that you can also buy separately). 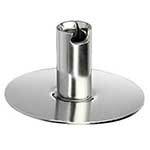 The wall bracket is not usually for sale separately and it comes with the gastro range. It is a simple soul, it fits all models but it appears that it can be delivered without screws ! Thankfully, you can buy them separately. Bamix are pioneers in this business. Their tools just ooze power and durability, multi-purpose and convenience. By all accounts from the way professionals talk about its reliability, and how chefs like Gordon Ramsey endorse it, it seems that this blender was made for the gods! Did you know that Bamix even produced the first ever immersion hand blender back in the 1950s! The Bamix is also made entirely in Switzerland. It looks like this magic wand and certainly is! 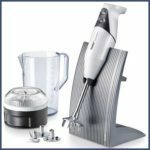 We think this Bamix hand-blender will probably replace all your other kitchen appliances, be it blenders, processors, graters, slicers, mixers, liquidisers, cocktail makers, grinders, choppers, mincers, whisks, or even ice cream machines. At 18:23 there is a new way to do mayonnaise… we tried it and loved it ! That´s all we can tell you about the Bamix Gastro and its accessories and similar products. If you have any questions, please put them in the comments box below. If we have excited you about the Gastro, please go onto Amazon and check the prices and buy it !! You won’t find the Bamix brand everywhere we guarantee you, and there is usually only one main distributor in major countries. Quite often its from a less known name. Online generally, you can easily get old stock or the wrong country spec. on some sites. So our advice is to go to your local Amazon site ( click below for the three main ones) and it should direct you to all the models that will be provided, supported, and with specifications that work best for operating the appliance in your area. You will find, for example, that the Bamix gastro is really only available in the 200Watt version in the U.S. and in Australia, you will more often be offered a 240Watt model (SwissLine Cassette) but with the standard length shaft.